The way the show is written is very well done and while the story is a bit like Seinfeld (a show about nothing but without the comedy) the characters is what makes this show very satisfying to watch. 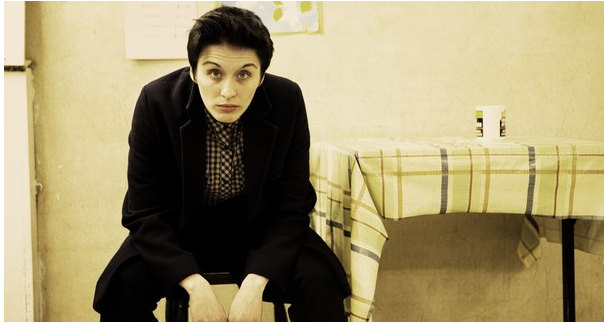 The depression these characters go through certainly makes you feel for them and I do admit I did shed a tear or two but it also makes you feel better about yourself as it makes you think to yourself “I'm glad that I am me and not them” making it some very brilliant television. I do quite like the way they shot the show as it looks very dark yet pretty and captures the depressing feeling on film very beautifully. This series is very short consisting of only three episodes so you can easily breeze though it although if you are new to this series I wouldn't recommended starting off with this one as some of the things in the show may confuse you. 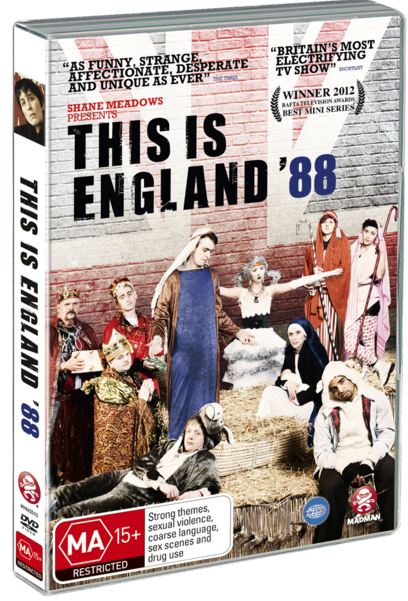 You don't have to go all the way back to the movie but I do recommend checking out “This Is England '86” first. Gang: This is some darn good telly we are watching. There are some special features but not much, you have interviews with the cast and crew talking about what it was like working on the show and some deleted scenes. There is also a commentary track on the third episode with the people who played Lol and Woody. Stuff they talk about was very interesting to listen to the lengths they went to make the characters believable, so I really recommend giving it a listen. Overall this was a really great watch and I highly recommend picking this up along with the other seasons.